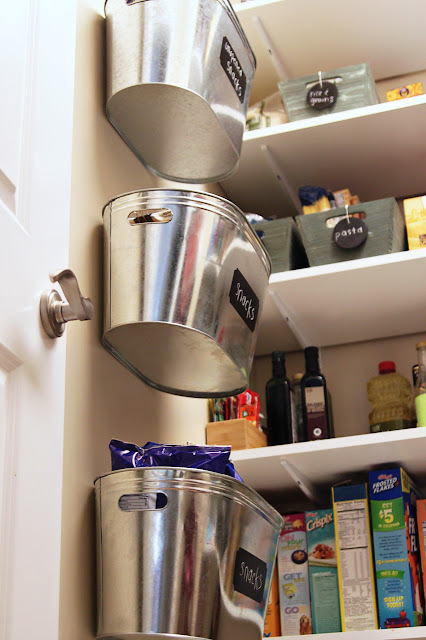 Ashley has an organizational series going on over on her blog, Lil Blue Boo, and I am in love with the metal buckets that she used in her pantry. You can check out these metal storage bins HERE and the rest of her organizational ideas HERE. thats so funny i did the same thing in my tool room and i love it.! love the look of this!! Plus great way to make use of the wall space!